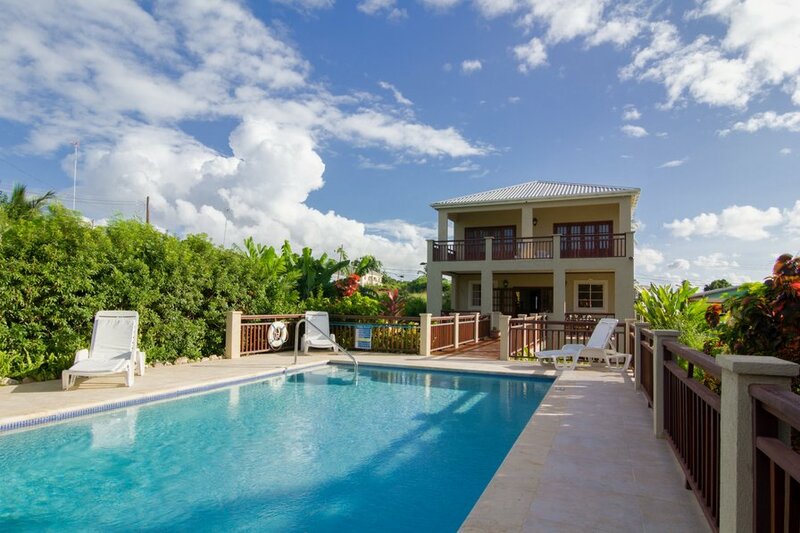 Quiet, authentic Barbadian village life surrounds the Villa. The tranquil Reeds Bay is perfect for swimming and relaxing and is just a 5 minutes walk away. Go North towards Speightstown and you will find beach bars, restaurants, water sports and swimming with turtles. This spacious self contained accommodation has all you need to make that family holiday a most memorable one. Fully fitted kitchen with own washer, electric stove and granite counters. Large comfortable bedroom space with open balconies and en-suite bathrooms. Separate house and beach towels are provided. Air conditioning is available in bedrooms for those warm nights. Take advantage of the luxurious pool, lush garden, dine on a patio while the sun sets and feel the fresh air as the easterly winds blow. Parking is available for 4 cars at the front of the property. At the bottom of the hill is the bustling main road of the Platinum Coast, Holetown to the South and Speightstown to the North. The efficient public and private bus service ply the main route to and from Bridgetown regularly. Any size of group catered for from 1-8 persons. Spare beds are available for children taking total occupancy to 10. To quote accurately please enter dates and the number of adults and children. Rates vary by season. Airport transfers and chef can be arranged on request. A mandatory Room Rate Levy will be applied which is collected and passed onto the Barbados Revenue Authority. Charged at 3.75% from 1st April 2019. You will be advised of the amount after booking and will be charged at check-in. A receipt will be provided. There is a shower next to the pool and also rest/changing room in the garden.